books | Let's Live Forever! 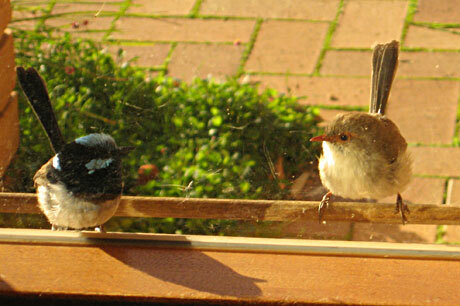 These blue wrens are visiting the mirrored small window beside the front door at my mother’s house, in the country. Normally they flit around all parts of the house, but at this time of year they get very excited by their reflections in the window, and spend all day there.